A new report from Health News Wires titled Could You Be Living With Diabetes and Not Even Know It? details how an estimated seven million undiagnosed cases of diabetes exist in the United States. Most cases of diabetes are both treatable and preventable; understanding the signs and symptoms are are key component of prevention. This article details important information about diabetes and blood sugar. The CDC estimates that is exactly the case for roughly seven million people in the United States. Most often, people suffering from diabetes, especially type-2 diabetes, will experience symptoms associated with the disease, including fatigue, extreme thirst, mood swings, blurred vision and frequent urination. Diabetes has reached epidemic proportions in the United States and around the world. Currently, the Center for Disease Control estimates that roughly two million people are diagnosed with diabetes each year; this is in addition to the nearly 20 million who already suffer from the disease. 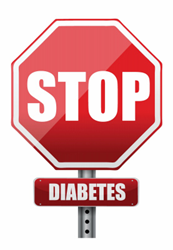 There are several steps to reduce, or even eliminate, the harmful effects associated with high blood sugar and diabetes; the new article from HealthNewsWires.com details various ways to reduce the risk of diabetes and high blood sugar. The complete Could You Be Living With Diabetes and Not Even Know It? article and supporting video can be found at http://healthnewswires.com/living-with-diabetes/. A second free 31-page report sharing new information about how to eat carbohydrates and avoid storing them as fat, titled 4 Tricks to Never Store Carbs as Fat, is available for download at http://HealthNewsWires.com/never-store-carbs-as-fat/.